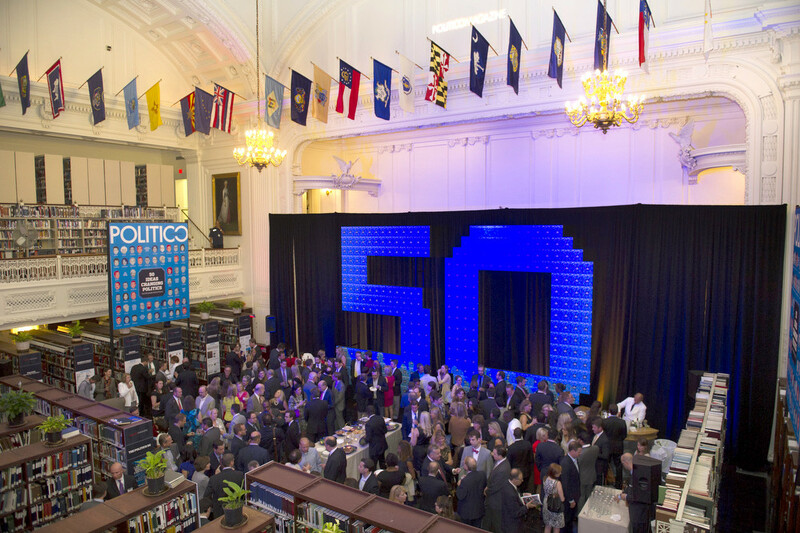 Last night in the library at DAR Constitution Hall, POLITICO Magazine celebrated its latest issue, which named the top 50 persons challenging American politics, that we featured last week. 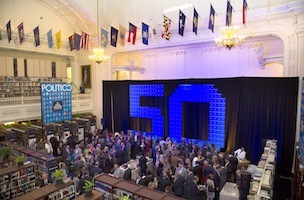 The room was decorated with an 18-foot tall “50” constructed out of 365 POLITICO Magazine covers. The evening wrapped prior to President Barack Obama’s 9pm statement on ISIS. POLITICO brass including Robert Allbritton, Jim VandeHei, Kim Kingsley, Mike Allen, and Roy Schwartz. And FishbowlDC regulars including Peter Baker, Glasser’s husband, and their 9 year old son Theo, who was the “life of the party;” MSNBC anchor Alex Wagner; recent magazine contributor Tim Burger and former POLITICO Click-er Kiki Burger; Juleanna Glover, Carl Cannon, Google’s Rob Saliterman, Yahoo’s Garance Franke Ruta, TIME’s Zeke Miller, Mark Paustenbach, and POLITICO’s Daniel Lippman, Jake Sherman, Manu Raju, Sara Olson, Peter Cherukuri, and Jack Smith.